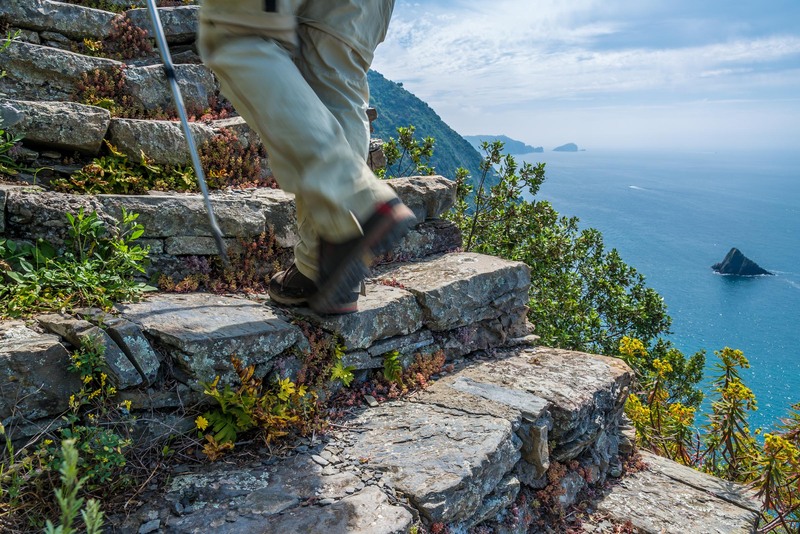 Owing to the great demand for a hike with the characteristics of a long distance hike we have created this hiking package for individual travelers starting from Sestri Levante and ending after 5 days of hiking in Portovenere/La Spezia crossing the most beautiful landscapes of the Unesco sites Cinque Terre and the Ligurian coast. It includes the accommodations in selected small hotels or boutique guesthouses with breakfast and typical dinner, a roadbook with maps and descriptions of the itinerary and the daily luggage transport from one accommodation to the next. Pls take note that all the hiking details are mentioned in km, maximum height (every hike starts and ends at sea level) and hiking time. The hiking means the average time a person needs to hike the trail in an average hiking pace not considering breaks. 1st day: Arrival by train in Santa Margherita Liguria. Hotel Jolanda*** or similar for 2 nights with breakfast. At the arrival in the hotel, at 5.00 pm the guests will be called by one person of our office. They will receive at their arrival the package with all the vouchers for the hotels and boats to take, a hiking map, train timetables, the roadbook with descriptions etc. All necessary train tickets however will be bought directly by the clients. Dinner free in Santa Margherita. 2nd day: train ride to Camogli (tickets not included). Boat ride to San Fruttuoso. Hike to Portofino. Boat ride to Santa Margherita. Hiking time total 1.5 hrs. Maximum height 225 m. 6,5 km. 3rd day: check out. Guests prepare their luggage for the transfer to the next hotel. It will be picked up during the day. Train or bus ride to Rapallo (tickets not included). From Rapallo climb up to the sanctuary Madonna di Montallegro (or take the famous cable railway). From there hike to Chiavari, overlooking the sea on one side and the high mountains of the Appenin on the other. Hiking time with climb from Rapallo about 5 hrs, without the climb about 3 hrs. maximum height 600 m (at Santuario Montallegro), 18 km. From Chiavari train ride to Moneglia (tickets not included). Check in for 2 nights in hotel Villa Argentina (http://www.arbaspaa.com/p/hotel-villa) or similar with half board (breakfast and 3 course dinner included, no drinks). 4th day: train ride to Bonassola and hike back in direction Moneglia. First from Bonassola crossing the wonderful viewpoint Salto della Lepre, to Framura, which is the most panoramic part of the hike. Later, other beautiful hikes through the little hamlets of Framura reaching Deiva Marina and, if not tired, the last part to Moneglia. Total hiking time about 7 hrs. The complete hike of this day is made of 3 parts: Bonassola-Framura (2,5 hrs, maximum height 250 m, 5,5 km), Framura – Deiva Marina (2,20 hrs, maximum height 330 m, 5 km), Deiva Marina-Moneglia (2 hrs, maximum height 320 m, 6,5 km). 5th day: check out. Guests prepare their luggage for the transfer to the next hotel. It will be picked up during the day. Train ride to Levanto (tickets not included). 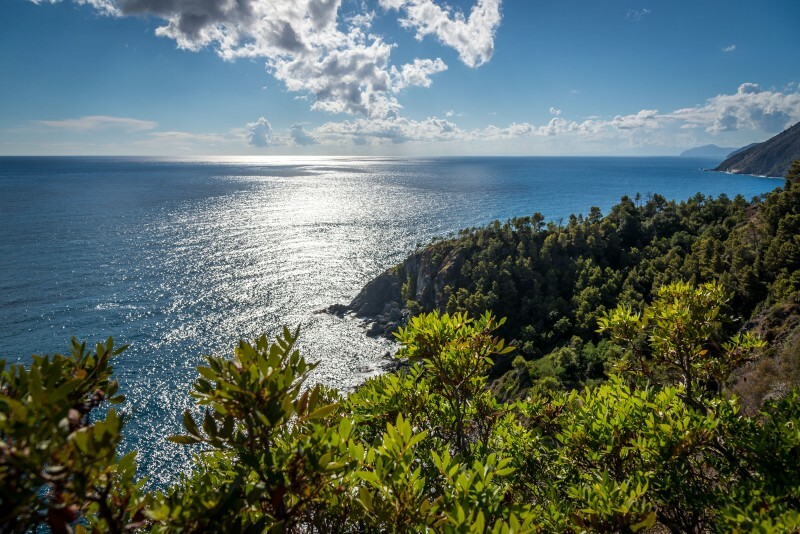 Hike to Monterosso, passing the Punta Mesco overlooking the whole Gulf of the Cinque Terre). Total hiking time 3,5 hrs. maximum height 320 m, 8 km. In Monterosso Check in for 3 nights with bed & breakfast at the hotel 5 Terre *** or Monterosso Alto (near to Soviore with shuttle service to the downtown) or similar. In the afternoon, after the check in in the hotel, in Monterosso we offer a winetasting of wines from winemakers of the Cinque Terre. 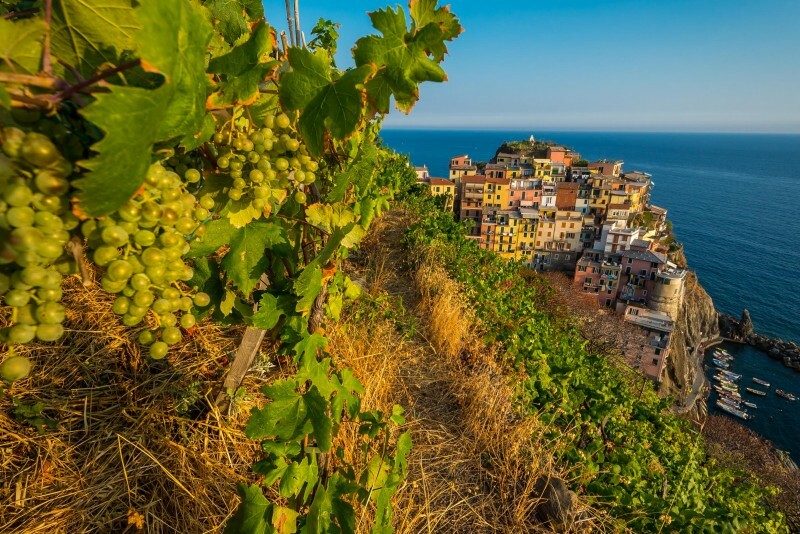 You will taste a conventionally made Cinque Terre DOC white wine, a naturally and traditionally made local white wine and a Sciacchetrà. Through this tasting we want to show you how in a limited area like the Cinque Terre completely different wines and philosophies of winemaking can develop. 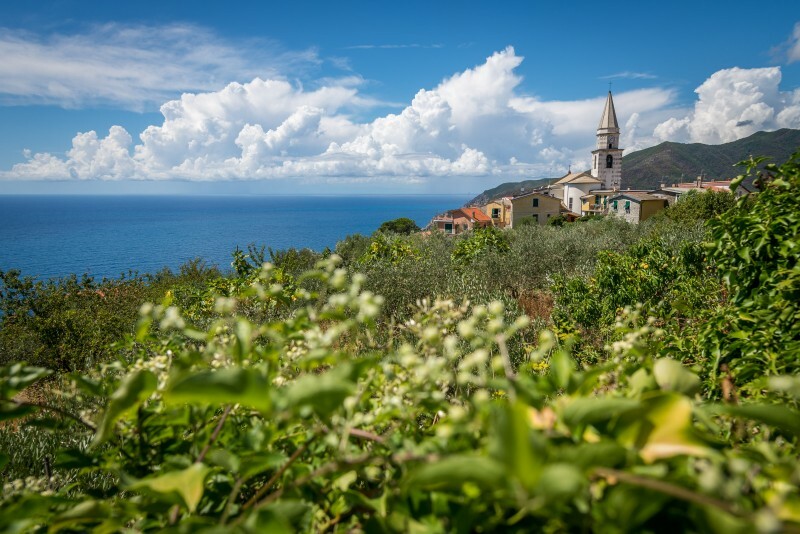 You will learn more about the new generation of Cinque Terre wine makers and the renaissance of traditional wine making. The tasting will be accompanied by some little crostini and some cantucci with the Sciacchetrà. 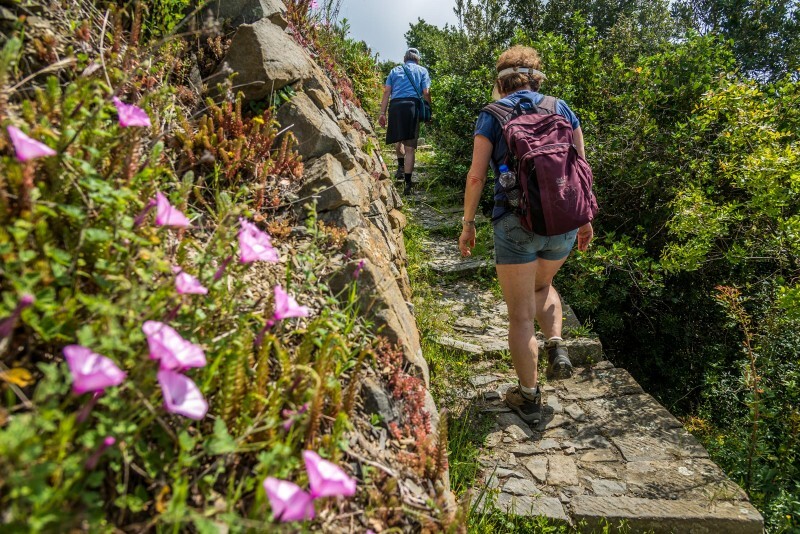 6th day: hiking to explore the Cinque Terre mostly moving on the lesser beaten treks. Monterosso – Soviore, the old pilgrimage route. 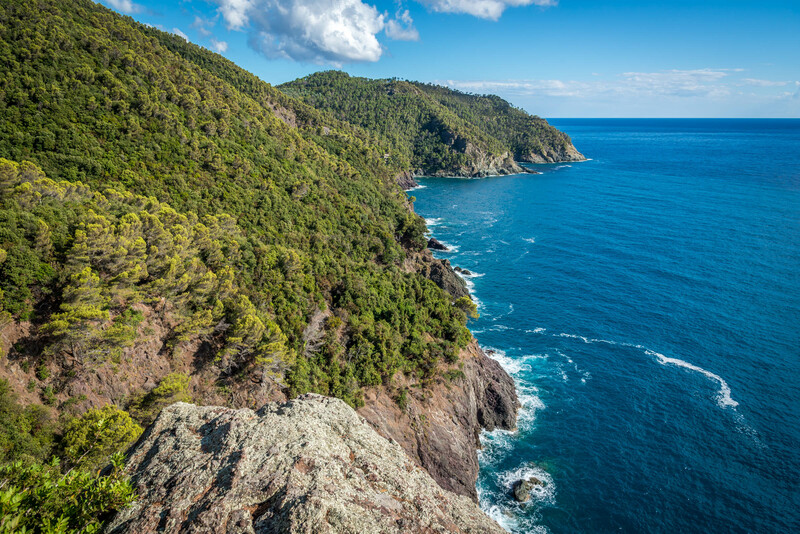 From the sanctuary Soviore to the sanctuary of Reggio above Vernazza enjoying great views. From Vernazza to Corniglia on the main footpath. From Corniglia to Manarola passing through Volastra and the ancient vineyards. Total hiking time at least 7 hrs. The hike can be divided and guests do, basing on their fitness, on the weather and their motivation, only the parts they are most interested in. Instead of the first part, for which we choose the higher, most scenic and less beaten trek, they are also free to take the lower and shorter one. From every village of the Cinque Terre there are frequently trains running to all the others. Monterosso-Soviore-Reggio-Vernazza: 3,5 hrs hiking time, maximum height 535 m, 8,5 km. 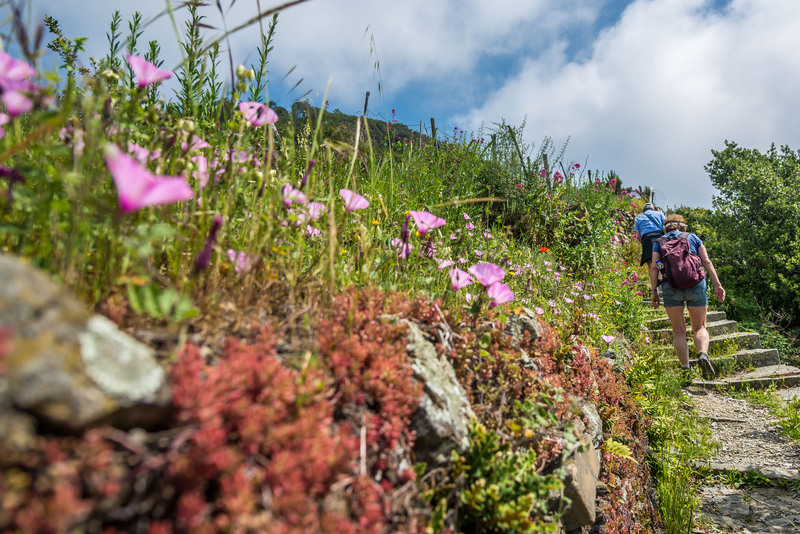 Vernazza – Corniglia: 1,5 hrs hiking time, maximum height 150 m, 4 km. 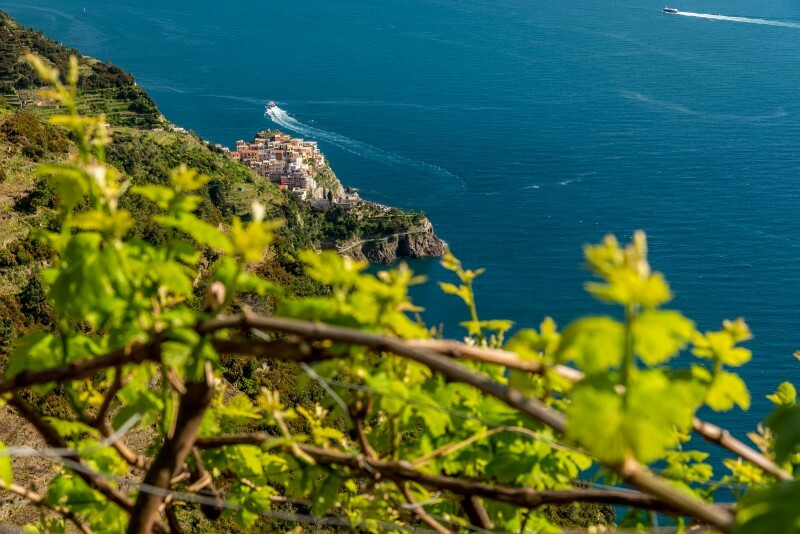 Corniglia – Volastra – Manarola: 2 hrs hiking time, maximum height 370 m, 6 km). 7th day: early train to Riomaggiore. Hike to Portovenere. Hiking time 5,5 hrs. maximum height 550 m. 14 km. In the afternoon boat ride back to Monterosso. for the months of July and August there is a supplement of Euro 110.00 per person to be added to the high season price. Included services: accommodations for a total of 7 nights in 3* hotels as by description or similar in dbl room with own bathroom and breakfast every day. Dinner at 2 evenings in Moneglia, luggage transfer from one accommodation to the next, boat rides: Camogli-San Fruttuoso, Portofino-Santa Margherita, Portovenere-Monterosso, Wine tasting in Monterosso. Maps, roadbook and description of the hikes. Local emergency assistance 24 hrs (phone number to call). Call on the first day of arrival at 5 pm in the hotel. Not included: lunches, tips, entrance fees, train tickets, all services not mentioned under “included services”. Availability: Please take note that this service is always on request. No allotment has been blocked yet and availability will be checked at the moment of the request. All offered hotels/guesthouses are very small and often popular family run places. Thus program changes can be possible as well as alternative accommodations, even with supplements, in case of booked out spaces.